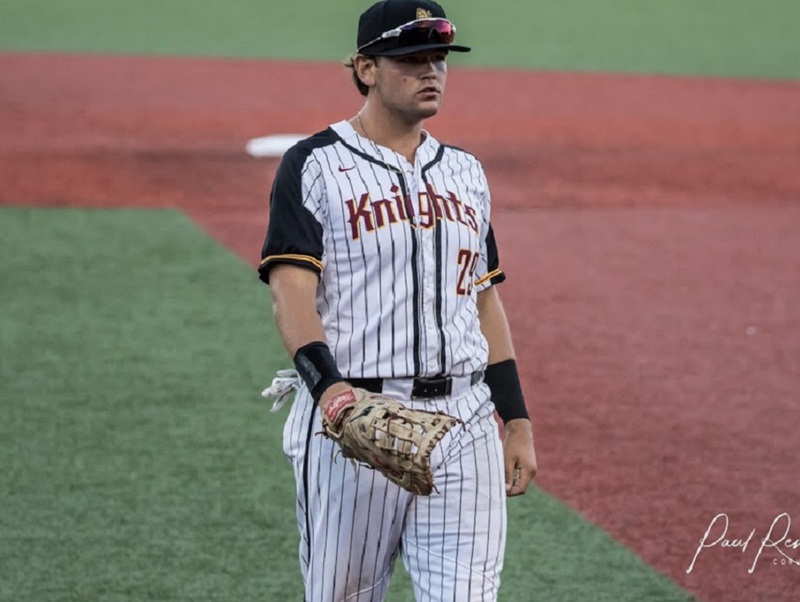 First baseman Trace Tammaro (pictured, above, photo by Paul Rentz) and pitcher Connor Knutson of the University of Portland will return for their second season with the Knights in 2019, coach Brooke Knight announced. They will be joined by UP teammates Noah Cracknell, a freshman catcher, and Jake Holcroft, a freshman outfielder. A 6-foot-3, 225-pound freshman from Clayton, Calif., Tammaro earned honorable-mention all-West Coast League honors in 2018. He hit .296 in 57 games, with four homers and 34 RBIs. He also led the WCL with a .992 fielding percentage. Knutson is a 6-0, 185-pound junior right-hander from Sammamish, Wash. He was 4-2, 4.25 in 14 total games for the Knight in 2018, with one save and 51 strikeouts in 55 innings as a starter and reliever. He also earned honorable-mention all-WCL honors. He was 4-2, 2.75 in 22 games with Portland in 2018, with eight saves and 41 strikeouts in 36 innings. He was honorable-mention all-West Coast Conference. Cracknell is a 6-2, 195-pounder from San Luis Obispo, Calif. He led the SLOHS Tigers to two Pac-8 League titles, and earned first-team all-conference as a senior, when he hit .348 with 33 RBIs. 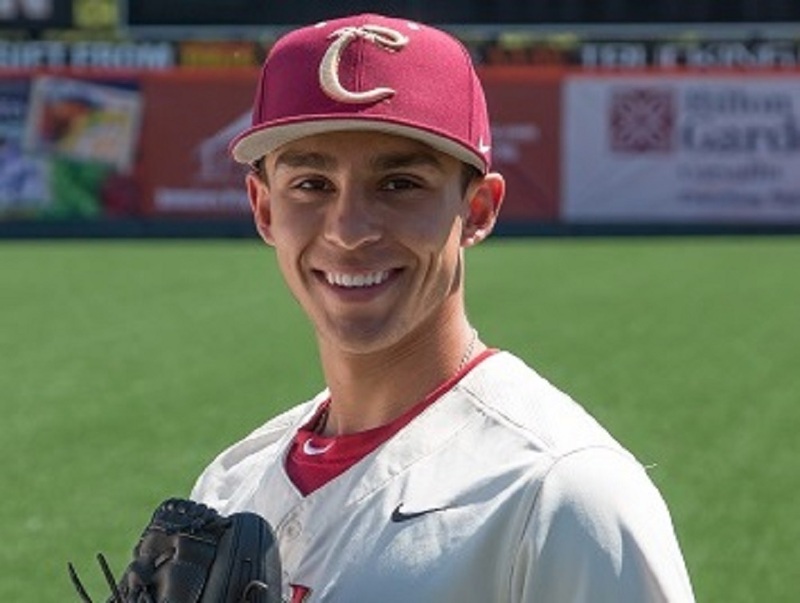 He was named to the Perfect Game California World Series All-Tournament Team in 2017. Holcroft is a 6-1, 165-pound center fielder from Claremont High School in Upland, Calif. A left-handed batter, he was a Palomares League all-star and earned team Defensive MVP, Most Valuable Underclassman, and Team MVP honors. He was named an honorable-mention Perfect Game Preseason Underclassmen All-American in 2017. Welcome back Trace and Connor, and welcome to the team, Noah and Jake! 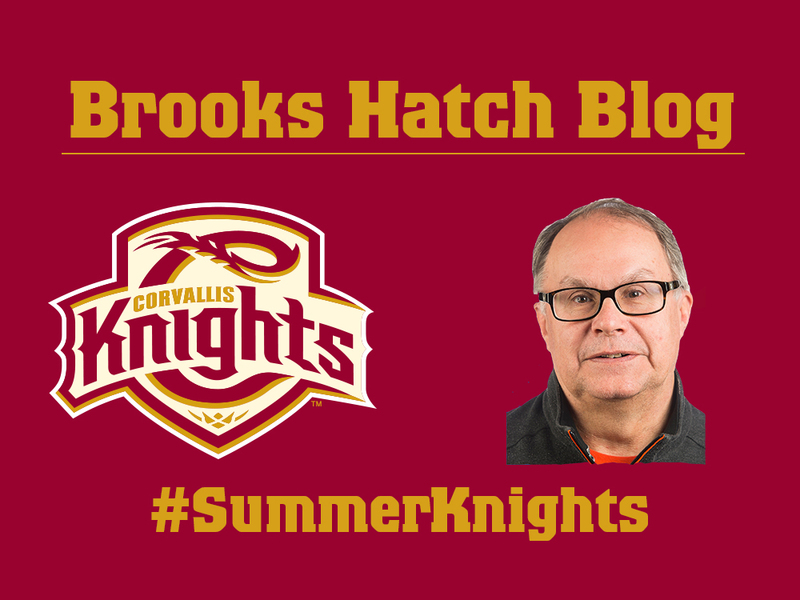 Our Corvallis Knights holiday sale is scheduled for 4-6 p.m. on Thursday, Dec. 13, in our downtown office on Jefferson Avenue. Merchandise will be available at reduced prices. Time to update the final stats of our three alums in the Arizona Fall League. Their season ended last week. Pitcher Stephen Nogosek (2013) of Scottsdale went 0-0, 3.68 in seven games, with seven strikeouts in 7.1 innings. The Oregon product is in the Mets’ organization. Pitcher Chase Johnson (2011) of Scottsdale is 0-0, 3.00 in nine games, with 10 strikeouts in nine innings. The Cal Poly product is in the Giants’ organization. Pitcher Ben (Wetzler) Holmes (2011) of Glendale was 1-2, 3.97 in six games, with 24 strikeouts in 22.2 innings. The Oregon State product is in the Dodgers’ organization. The San Francisco Giants assigned alum Chase Johnson (2011) to their Sacramento affiliate in the triple-A Pacific Coast League on Tuesday. He is still on their 40-man roster, however, and is protected from the Dec. 15 Rule 5 draft. Chase pitched at Richmond in the double-A Eastern League in 2018 and was 2-5, 3.86 in 18 games, with 37 strikeouts in 58.1 innings. He was San Francisco’s third-round draft pick in 2013, following his junior year at Cal Poly. That’s all for today. Have a great week and we will see you on Nov. 28.